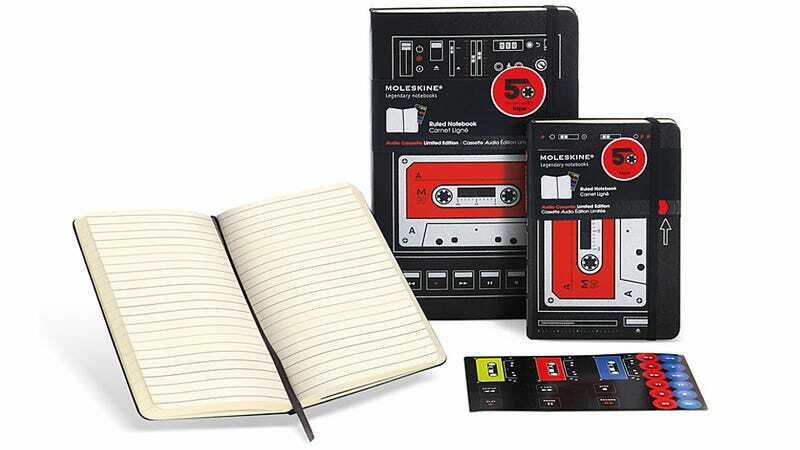 To celebrate the 50th anniversary of the compact audio cassette tape—which was invented by Philips back in 1962—Moleskine is releasing a line of notebooks featuring debossed color graphics on the cover making them look like tiny recorders. 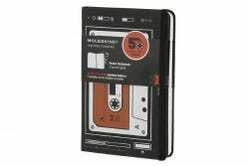 It's a lovely gesture, but it would have probably been more meaningful were cassettes still in wide use today. But they've been supplanted by other formats many times over by now, so these feel more like an obituary for a medium that for all intents and purposes is dead and buried. But coming October 15th you can pick them up in red or green trimmings from online shops like Amazon, and jot down your fond memories of mixtapes from yesteryear.